Try your hand at this new “W. R. Case” themed crossword puzzle, compliments of Elvis. The “Know your knives” puzzle was completed by Uncle Jim in record time. Thanks Elvis. Elvis is online and reads Cutlery News Journal! You are never going to guess who contacted me yesterday … it was Elvis. I promise. Well, Elvis informed me he beat the CNJ Crossword Puzzle #1. I believed him, but went and checked just to make sure. He did! The record shows 70 folks played it and Elvis is the first to complete it! Then he proceeded to tell me he made one too. 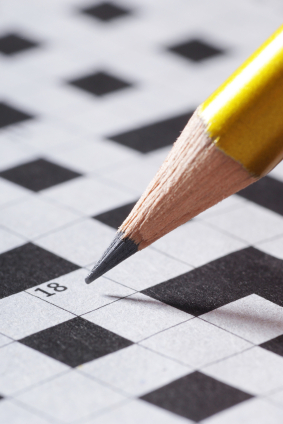 So, in a turn about fair play, if you like word games and crossword puzzles- give his a go. It is identified as Know your knives. Congratulations Elvis and thank you for your support for CNJ. 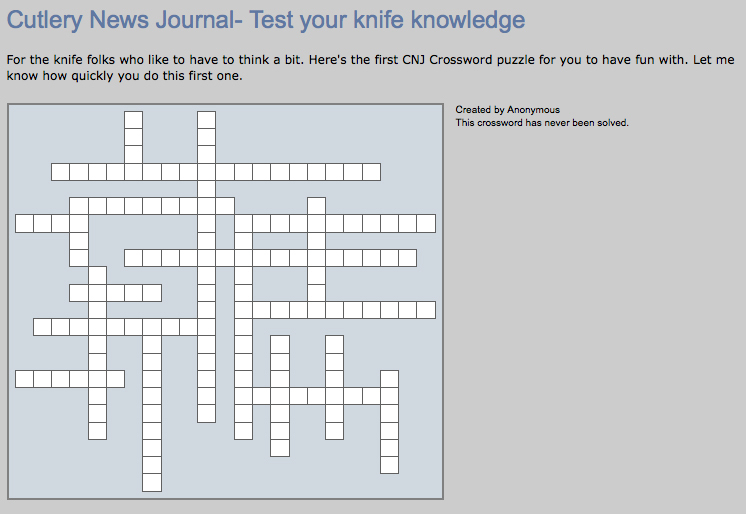 CNJ would not be complete without providing its readers a crossword puzzle, now would it? Shoot me an email once you are through with your time.